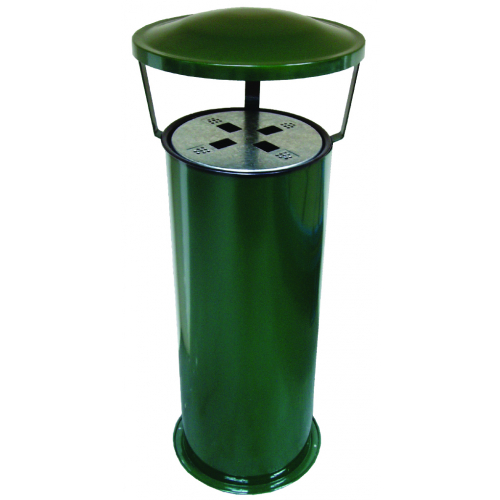 The ash stand has been manufactured from zintec steel with an epoxy powder coated finish, great for any outdoor area such as beer gardens, outdoor restuarant areas, and general smoking shelters. The elevated rain hood minimises rain entering the liner and flooding the inner waste. Lift out black metal ashtray with an anti theft chain. Supplied with self adhesive sign to fit on the front.